Indian video analytics startup Vidooly Media Tech Pvt Ltd has acquired iNiD Digimedia Pvt Ltd, which runs over-the-top content (OTT) platform iCouchApp, for an undisclosed amount. As part of the deal, Vidooly will get all of iCouchApp's assets and intellectual property, including its technology that powers mobile apps of TV giants like Zee TV and HistoryTV18. 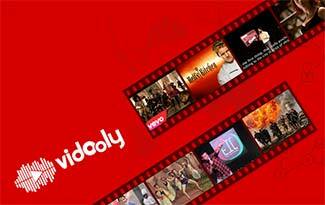 "Vidooly's aim is to provide intelligent data on the entire ecosystem of online video. We are already doing that with the likes of Youtube, Facebook video and other online video platforms," said Nishant Radia, co-founder of Vidooly, in a statement. "Since mobile consumption is growing exponentially, iCouchApp's expertise in the OTT segment will allow Vidooly to provide actionable data across VOD (video on demand) platforms and embrace the trend of mainstream TV going online." Founded in 2013 by BIT Meerut graduates Rabi Gupta and Ashish Kumar, iCouchApp is a video content engagement and discovery platform. iCouchApp builds an interactive layer over mobile streaming apps and video content. The iCouchApp allows consumers to discover new videos, interact with TV shows and keep track of their favourite shows, and at the same time allows media companies to create and maintain their own OTT app. "With this acquisition we see Vidooly being able to scale our technology much beyond TV to the domain of massively popular online video. Hence we found a natural fit for our product in Vidooly," said Rabi Gupta, co-founder of iCouchApp. iCouchApp serves 1.5 million monthly active users on its platform. Anandan, Srikant Sastri, Mumbai Angels and Hyderabad Angels. The funding was used to build the core technology of smartly integrating traditional TV content and online content. The founders started with a TV guide and alerts model (iDubba) but then shifted more towards engagement and second screen model (iCouchApp) where they saw more potential in the latter. iCouchApp was also a graduate of India's oldest accelerator Morpheus Gang. Vidooly was launched in November 2014 by Subrat Kar, Ajay Mishra and Nishant Radia. It is an online video intelligent marketing and analytics suite that helps content creators, brands and multi-channel networks (MCNs), to maximise their organic views, build an audience base and earn more revenues online. It does this through its software suite that offers advanced features such as video tag suggestion, best time to upload, search rank analysis, competitor tracking, subscriber behaviour analysis and influencer collaboration. Since its beta launch in November 2014, Vidooly has added more than 5000 individual YouTube channels and 50 MCNs to its list of customers using its dashboard. Nearly 120,000 videos are uploaded every month through Vidooly's network while its big data engine analyses 500 million plus monthly videos through its platform. iCouchApp iNiD Digimedia Pvt. Ltd. Vidooly Media Tech Pvt .Ltd.